Brookwood homes for sale, are you looking to move to Clear Lake area? 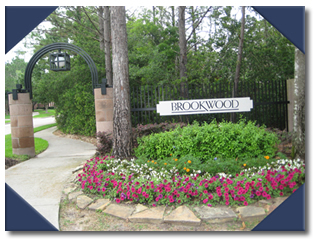 Brookwood subdivision was started in 1988 and was completed in 1994, it features 904 homes by Perry Homes, David Weekly Homes and Village Builders in the ommunity. Brookwood subdivision is on the Clear Lake and Pasadena city border, it is close to Nasa, University of Houston Clear Lake (UH Clear Lake), Kemah, Baybrook Mall, Space Center Houston and zoned to Clear Creek Independant School District. Brookwood Elementary, Space Center Intermediate and Clear Lake High School. Minutes from Baybrook Mall and major freeways. This community is well established with trees, walking and biking trails, community pool, tennis court, with community and family activities scheduled regularly. Call or TEXT The Tiger Team at 281-808-9321 for more information.